As a business owner who has worked hard to deliver a product or service, and to honour their side of an agreement, there are few occurrences more frustrating, and potentially financially damaging than being on the receiving end of a breached contract. However, the reality is that contracts are breached every day. In most cases, the breach is small, quickly remedied with no harm done, and the business relationship endures. But occasionally, a breach of contract will cause damage, whether that be financial, reputational or both. And in such cases, action needs to be taken so your losses are recouped. Before discussing what constitutes a breach of contract, it is important to begin with what a contract actually is. Contract law basics- what is a contract? In the business world, contracts are the lynchpin of commercial arrangements between parties. A contract is nothing more than an agreement between two or more parties which states one of the parties will do (or will not do) something in exchange for a stated benefit (typically money). 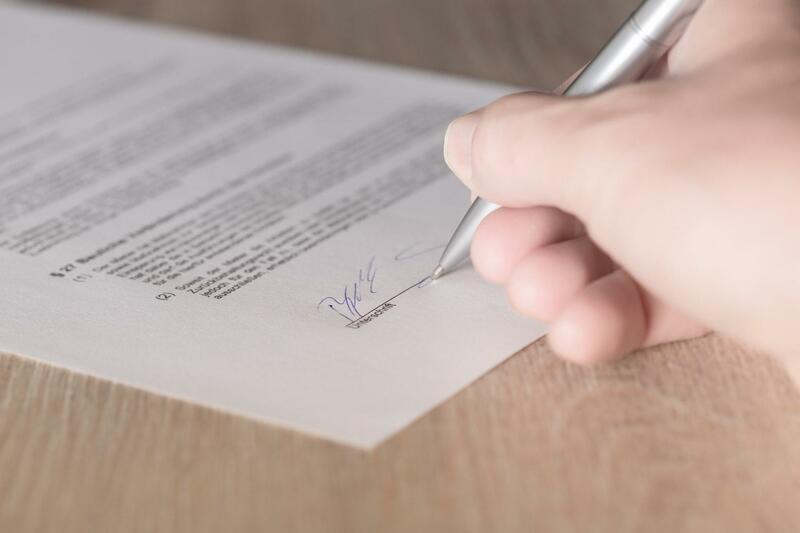 For a contract to be legally binding, it is necessary to have an offer and acceptance, consideration (in other words what is being exchanged to make the agreement legal), and an intention to be bound by the law (this is assumed in commercial situations). Contrary to popular belief, a contract does not have to be in writing to be legally binding. However, the terms of verbal contracts are hard to prove, so it is highly advisable to put all your commercial agreements in writing to avoid disputes developing due to one party, not misunderstanding expectations. If it is established that a legal contract does exist, the next question to ask is, “has a breach occurred”? The claimant has the burden of proving that, on the balance of probabilities, a breach has occurred. Minor – here, a breach of contract has occurred; however, it is so minor that the contract can be performed. A claim may be made for damages, but the claimant will not be permitted to terminate the agreement. Material – this is a more serious breach, or series of breaches, which goes to the heart of the agreement. A material breach results in the contract being unable to be performed. Anticipatory – one party alerts the other that they will be unable to perform all or part of their contractual obligations. The contract may be terminated, and the injured party can seek damages. How are damages calculated if a breach of contract claim is successful? The court does have the discretion to award interest on damages. Do breach of contract matters always end up in court? Many businesses fear entering into a civil litigation for breach of contract because they believe the matter could go to court and potentially cost thousands of pounds in legal fees. However, almost all breach of contract claims are settled out of court, either through Part 36 offers or alternative dispute resolution methods, such as negotiation, mediation, or adjudication. These methods are considerably more cost-effective than formal litigation and what’s more, because they are more focused on achieving a win/win solution, the possibility of preserving the commercial relationship is vastly increased. If a breach of contract occurs, seeking legal advice quickly can help you get the advice you need to mitigate your losses and claim damages. Time limits for making a claim for breach of contract are strict; you have six years from the date the breach occurred to make a claim. There are rare exceptions to this, so even if you think you may be out of time, legal advice should be sought. The biggest advantage of seeking experienced legal advice is that you are likely to find that breaches of contract are easier to resolve than you initially imagined and no-where near as damaging to your cash flow as you may have feared. Guillaumes LLP Solicitors is a full-service law firm based in Weybridge, Surrey. We have a highly experienced commercial law team who can advise and represent you on breach of contract matters. To make an appointment, please call us on 01932 840 111.